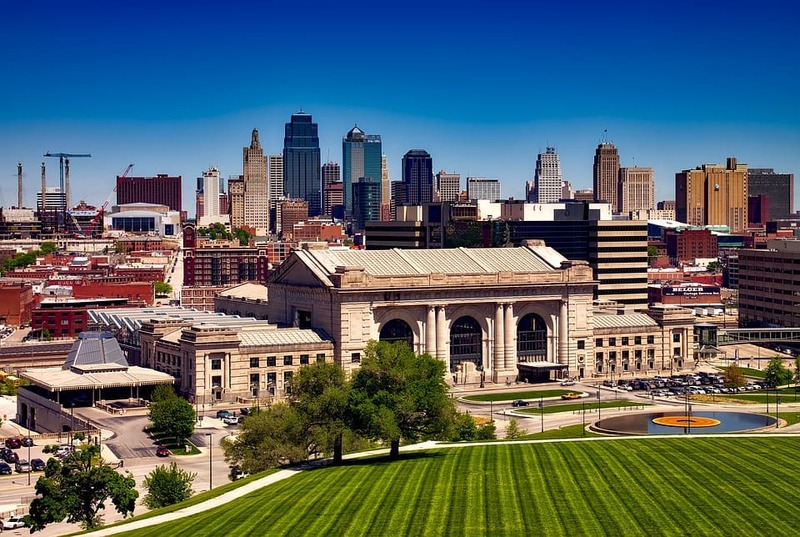 Pierpont’s Restaurant is a premier seafood and steak house located in Kansas City’s Union Station. A visit to this restaurant is like a step back in time to when the station was built in 1914. The architecture is awe-inspiring, and there are many hidden gems tucked inside. The expectations for a dinner at this type of establishment are high. We were sure we would not be disappointed. 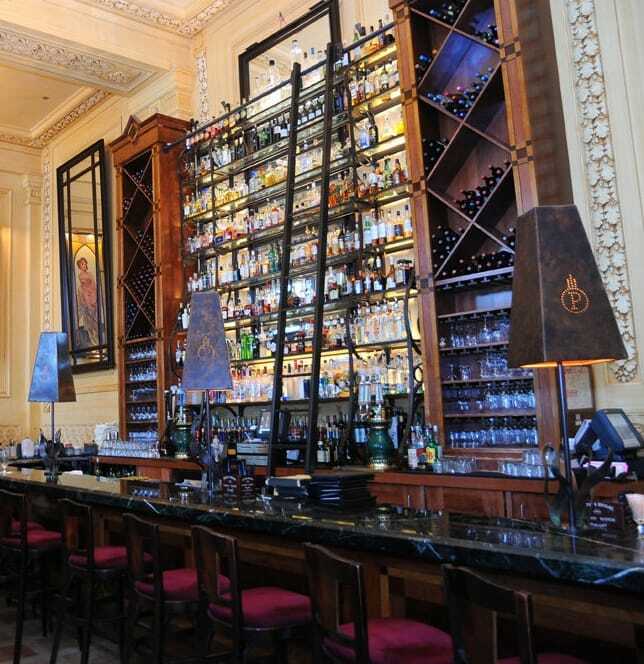 Upon entering Pierpont’s, guests will see the 30 foot tall mahogany bar. This is a great gathering spot during Happy Hours. Patrons sip exotic cocktails, while watching the bartenders scramble up and down the ladder for ingredients. It makes for a grand mix of cosmopolitan and vintage, and is quite often the topic of conversations. While we have enjoyed cocktails at the bar in the past, that was not meant to be tonight. We arrived on a Friday evening, and were escorted to our table in the dining area. Our waiter for the evening was John, who reviewed the chef’s recommendations and took our drink order. This visit was specifically meant as a chance to test their Three Course Tasting Menu. Our daughter had pre-purchased this for us, and we had been trying to find an opportunity to enjoy it. The tasting menu that we chose included an appetizer, entrée, and dessert for each of us. As we placed our orders, John pointed out that my choice could be reduced in price by ordering off the regular menu. He also pointed out that the serving portion would be larger if ordered this way. Now that is some great inside information, and it was truly appreciated. With our orders placed we sat back and savored the ambiance of the room. In short order our first course was brought out. 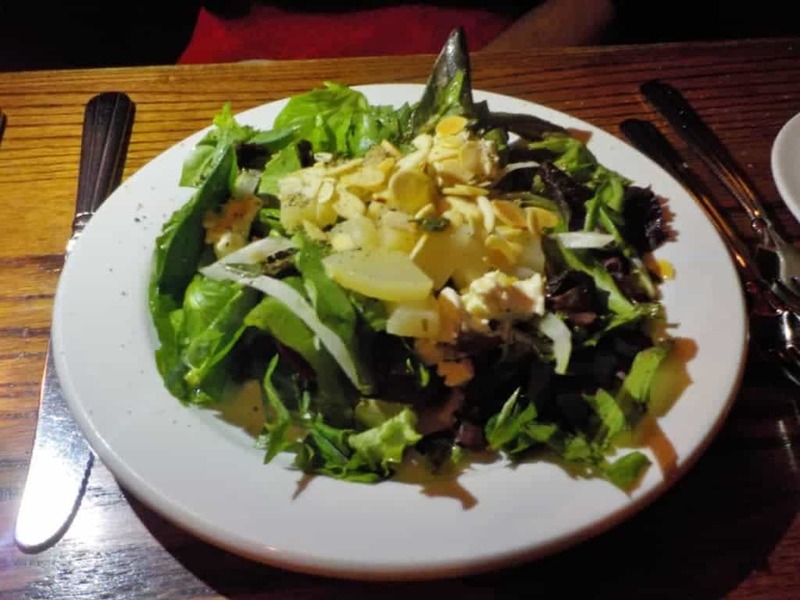 Crystal chose the Pear & Almond Salad to start. After a few bites decided that it was not exactly the flavor combination she had hoped for. Fortunately, I was more than willing to take over from there, and we swapped plates. The fennel flavor really shines through in this dish, which was probably what Crystal disliked. Being a fan, it worked well for me. I finished the bowl. Besides the fennel and arugula, the rest of the salad was a little light on flavor. Still it paired well with the fresh sourdough bread that Pierpont’s serves with their meals. 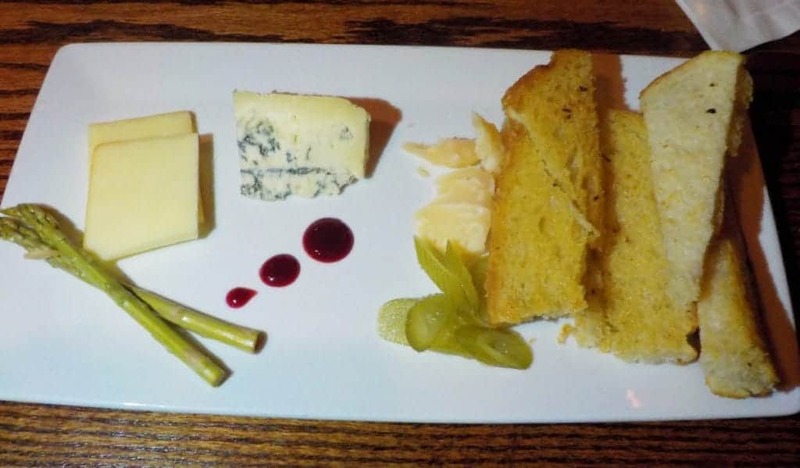 My appetizer was the Artisan Cheese plate. This consists of three cheeses, pickled fennel and asparagus, as well as some garlic oil flavored toasted bread. The cheeses are chef selected, and the evening we were there they were all from the United States. The sharp cheddar was especially delightful, and paired well with the sweetness of the fennel slices. Soon the appetizers were finished, and we prepared for the main courses. Crystal had chosen the Chicken Roulade for her entree, and the presentation is quite remarkable. The dish consists of a rolled, flattened chicken breast stuffed to bursting with cheeses. 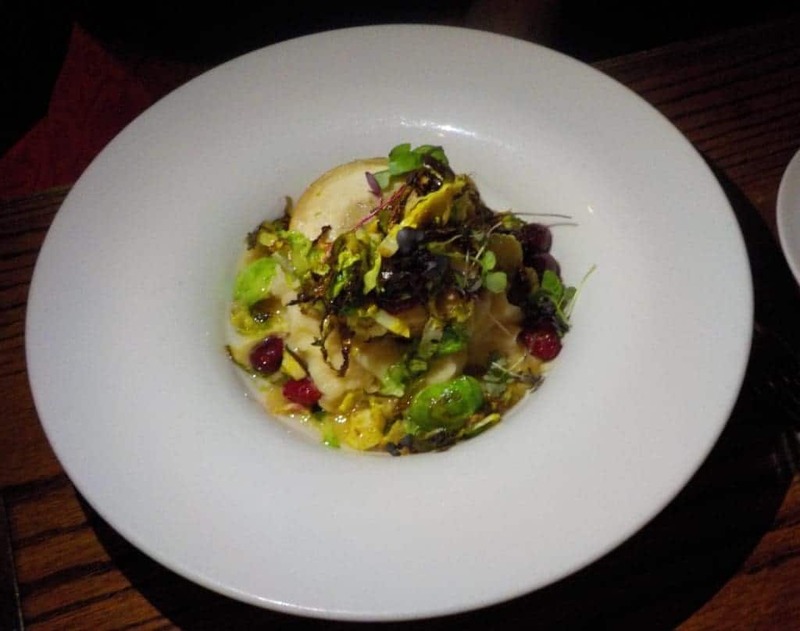 It is served on a bed of horseradish potatoes, and accompanied by shaved Brussels sprouts and assorted vegetables. This all floats in a caramelized onion broth. It adds another layer of flavor to the dish. The chicken flavor is light and tender, with the potatoes offering an unusual tang to the dish. I chose the Twelve Hour Beef Short Ribs. As I stated before, John had helped me secure the best deal on this meal. 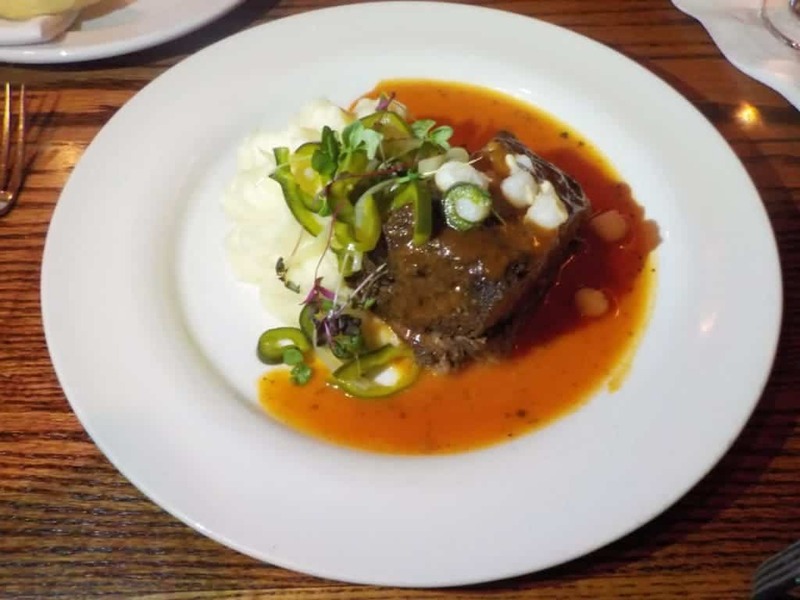 The beef is a boneless cut, which is topped with roasted poblano pepper slices and hominy. It is flavored with a cider-honey BBQ sauce, and rests on a bed of the horseradish potatoes. The meat was incredibly tender, but still juicy. The flavor combination works well, with the slightly sweet sauce counteracting the spice of the peppers. Even though I knew I would regret it, I finished the whole thing. We were beginning to feel stuffed, but knew we had to persevere for the good of this article. With dessert looming, I took this opportunity to stretch my legs and get another view of the architecture. 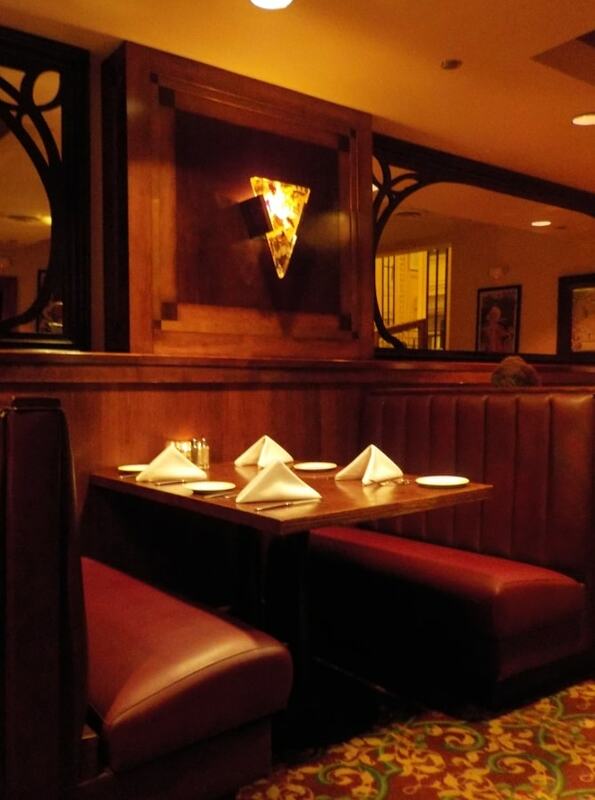 Pierpont’s Restaurant has as much charm, as it does great food. Tonight we were soaking them both up. Dessert arrived with a little fanfare, and we savored the presentation before digging in. Crystal’s slice of Chocolate Hazelnut Cake was made with a sweet hazelnut ganache sandwiched between layers of rich devils food cake. These were accompanied by crispy praline flavored bites called feulletine. A dollop of whipped marscapone crème made this dessert was as decadent as it was beautiful. 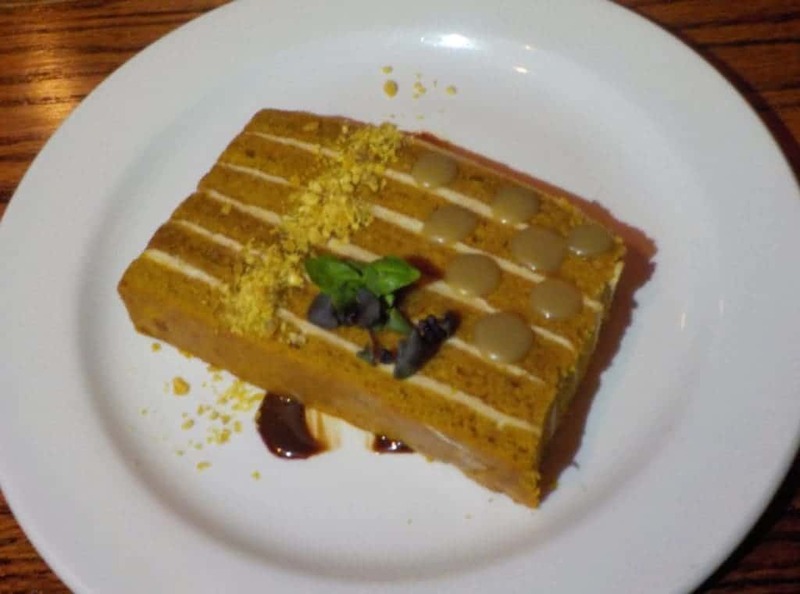 My dessert choice was the Pumpkin Cake with Spiced Cream Cheese Filling. 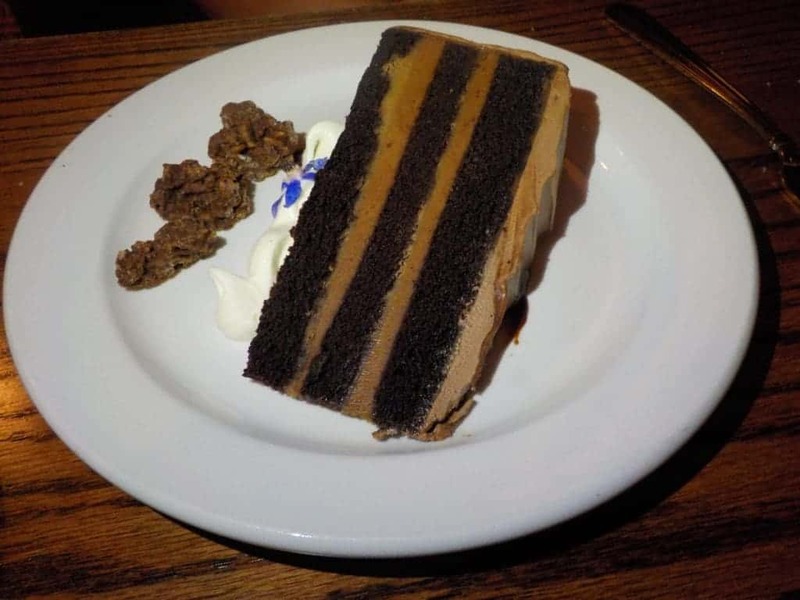 The cake was dense, yet moist, and the spiced filling blended well with the pumpkin. As full as I was before starting, I still tried to complete this dish. After a few bites I realized my attempt was futile, and I surrendered. John returned to check on us, and explained that the menu changes in the spring and fall, and that we were right at the tail end of the current menu. A lot of the dishes will rotate off, and be replaced with items that are more appropriate to the fresh ingredients that will be in season. This certainly explained the use of many root vegetables, as well as cold weather crops, in the dishes. There are some dishes that remain year round, as they are the classics that people return for over and over. Armed with this information, we knew that a return visit would be warranted to test the options on the new menu. For the time being we decided the only thing to do was go for a nice, long walk to let dinner settle.